AI Suite provides storage for data from business applications and the general ledger making it possible to perform various control and reconciliation processes using standard functions or using the solution API. AI Suite provides an audit trail between business events or transactions coming from business applications and detailed accounting entries sent to the general ledger. Audit traces are generated during the accounting integration process. Generation of audit traces can be configured for different steps, such as enrichment, translation, aggregation, and transformation. These audit traces can apply to business events, detailed accounting entries, and aggregated accounting entries. At the end of the accounting integration process, audit traces are imported in the AI Suite data store. The GUI allows authorized users to build queries to view the audit trail, to set up filters, and to do various operations such as sums, counts, and aggregations. Query results can be stored in the data warehouse, exported to Excel files, or published in various formats using the BIRT reporting tool included. Query results can also be shared among multiple users. Access rights management allows administrators to design roles and privileges with a very fine granularity. 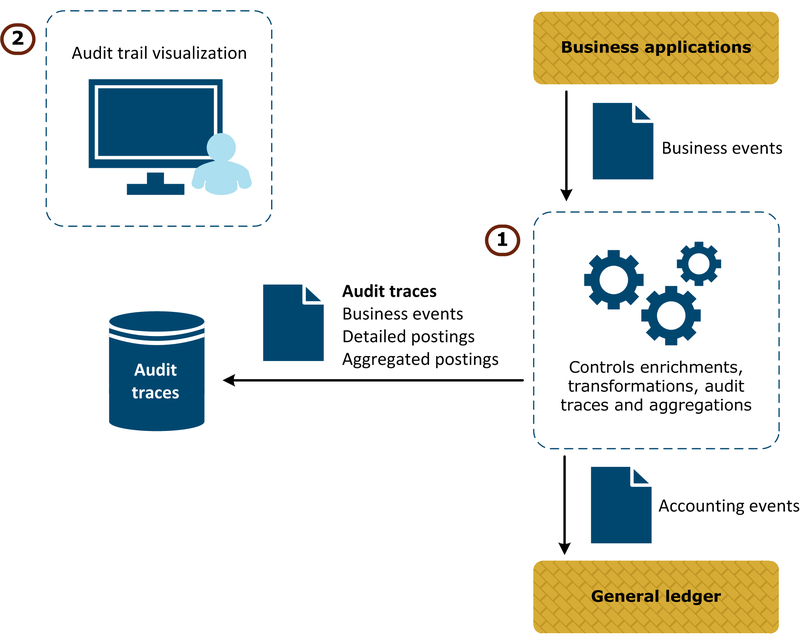 The following diagram illustrates the audit trail process. 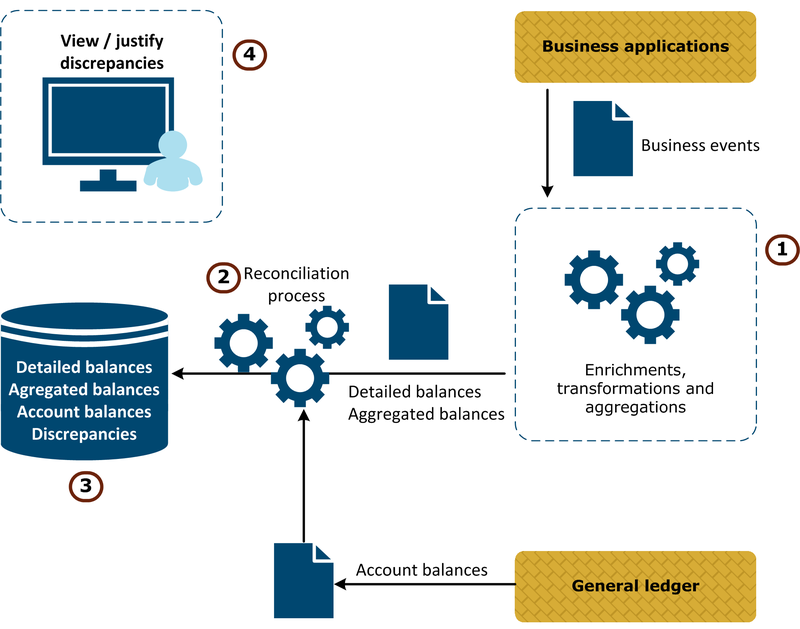 The diagram below illustrates a reconciliation process between business applications and the general ledger. Inventories can be imported in the data store or can be first processed for enrichment, transformation or aggregation to provide consistency in terms of criteria and granularity with account balances. Account balances coming from the general ledger are imported in the data store and the reconciliation process is executed. The reconciliation process detects discrepancies and store them in the data store. They can also be published using the reporting tool. With the user interface, business users are able to view discrepancies and start an analyze using the audit trail.